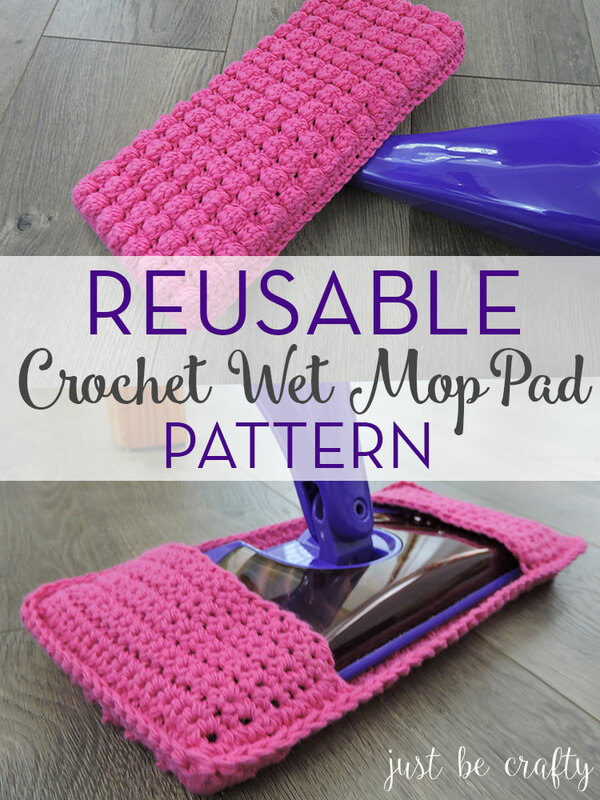 Today’s post is all about the Reusable Crochet Wet Mop Pad Pattern! With the weather warming up and the new season in full swing my husband and I are starting the process of giving the house a major spring clean. There’s something about the warm air and bright cheery colors of spring that make me want purge the old and do a deep clean! Spring cleaning gives such a fresh start and sets us up for a great year to come! 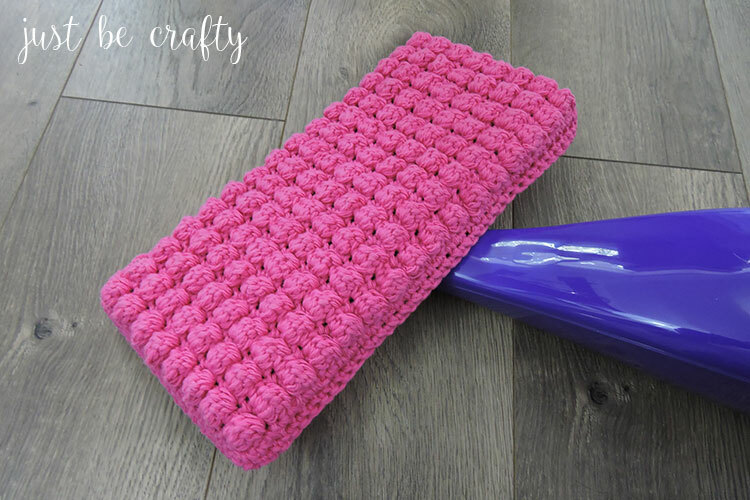 As I have been gathering cleaning materials to get to work, I decided to whip up some of my own wet mop pads! 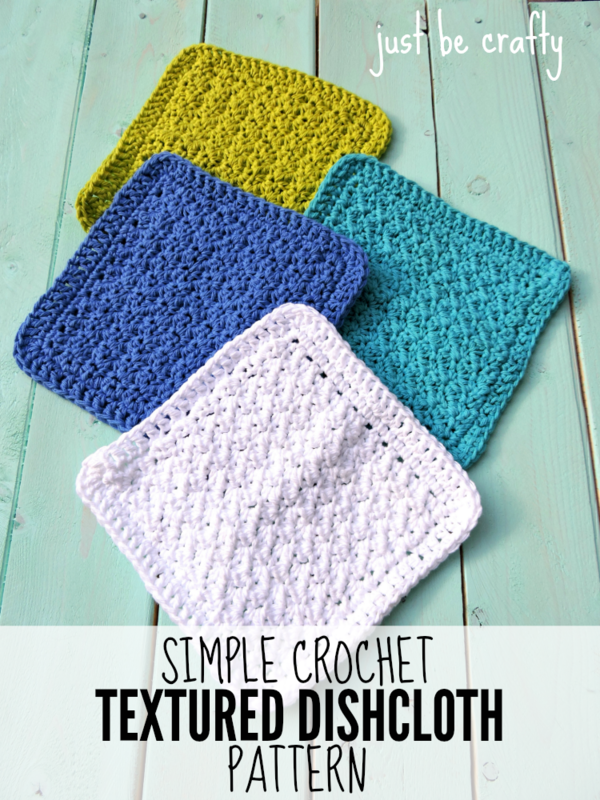 I don’t know about you, but I hate spending money on wet mop pads (aka Swiffer Pads)! They are expensive, and I am constantly going through boxes like crazy so I thought it would be a good idea to make my own. Not only will the homemade version of these pads be more cost effective but it is better for the environment by creating less waste. Win win! And the best part is, when I’m done with a pad I just take it off the Swiffer and drop in the washing machine! This pattern is designed to fit the Swiffer Wet Jet wet mop which measures approximately 10 3/8″ by 4 1/2″. 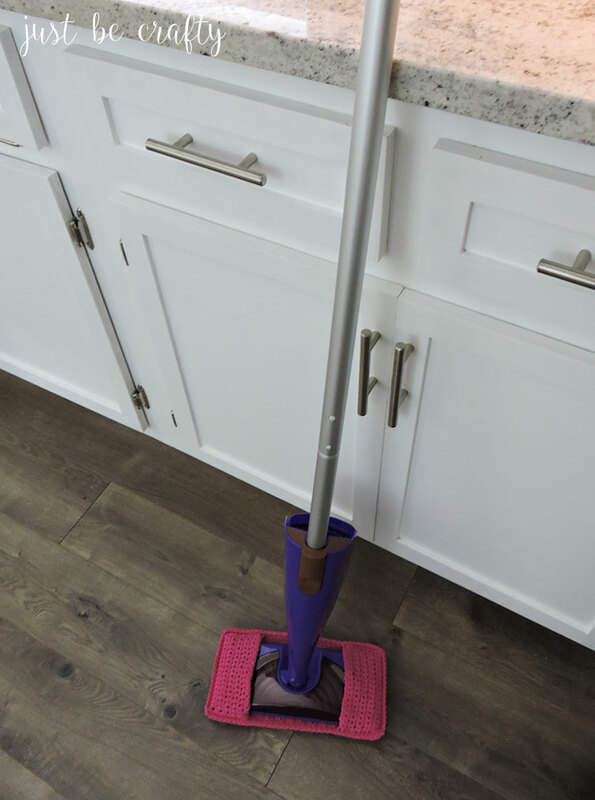 The pad is designed to be a bit bigger than the Swiffer itself to make it easier to slide onto the mop and to account for any shrinkage that might occur with washings. 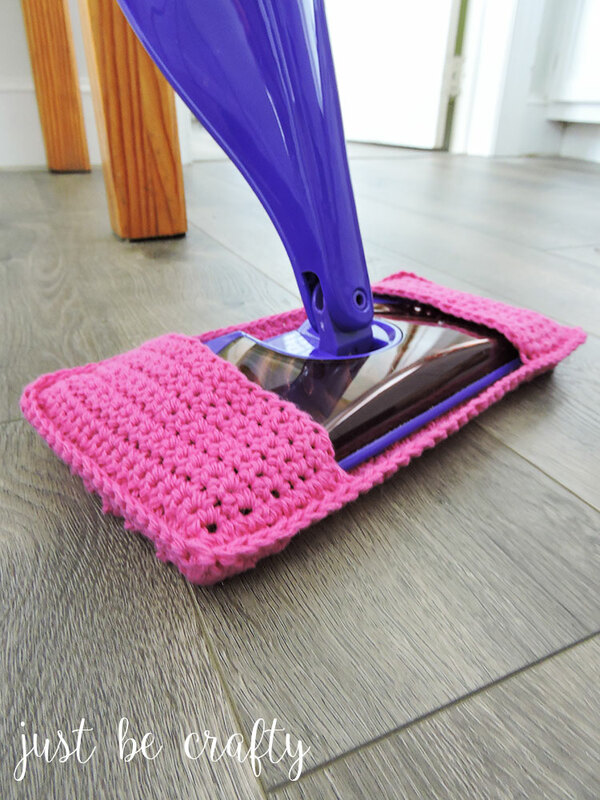 The pattern features the beautiful bobble stitch, which makes for an excellent scrubbing surface to give your floors a great deep clean. 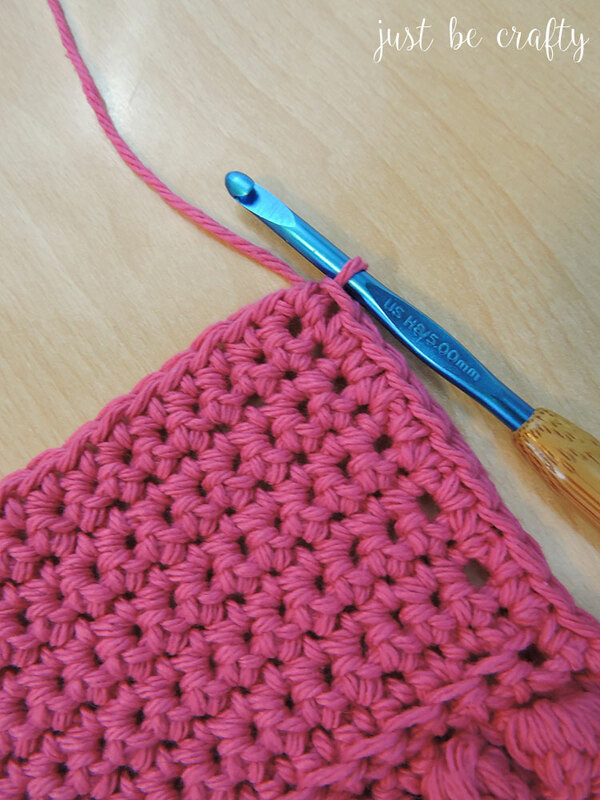 To learn the Bobble Stitch, check out my video tutorial! Please note this pattern is only compatible for older models of the Swiffer WetJet that have the sprayer in the center of the paddle head. Stay tuned for the the updated version of this pattern that will be compatible with the new Swiffer WetJet! Flip over your work so that the bobble side is face down, and rotate work so that the starting end is facing towards you. 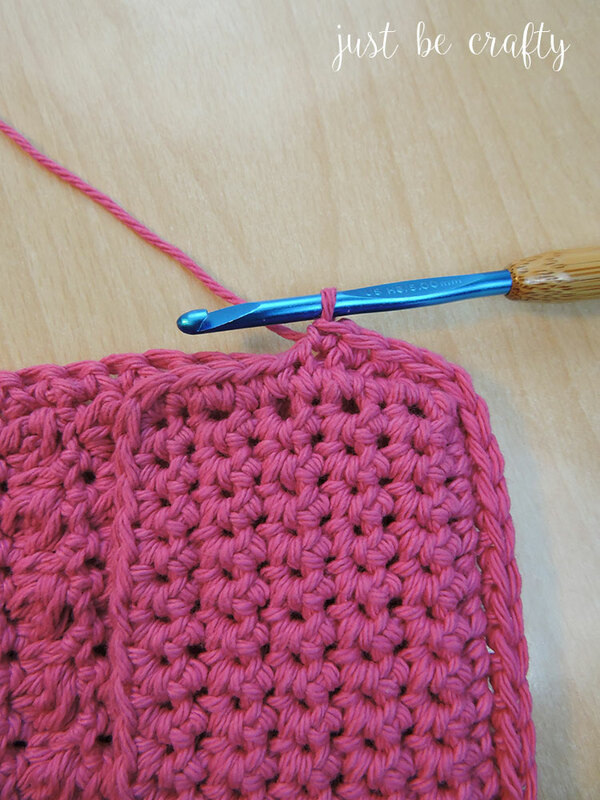 Insert your hook in the first stitch (as shown below), ch1, and sc across row, turn. 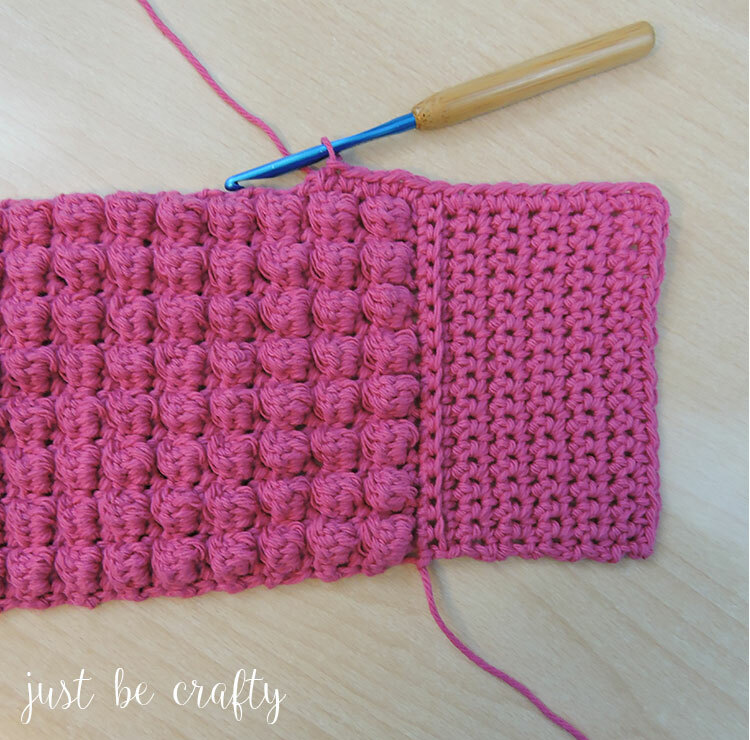 Repeat Rows 36 – 44. 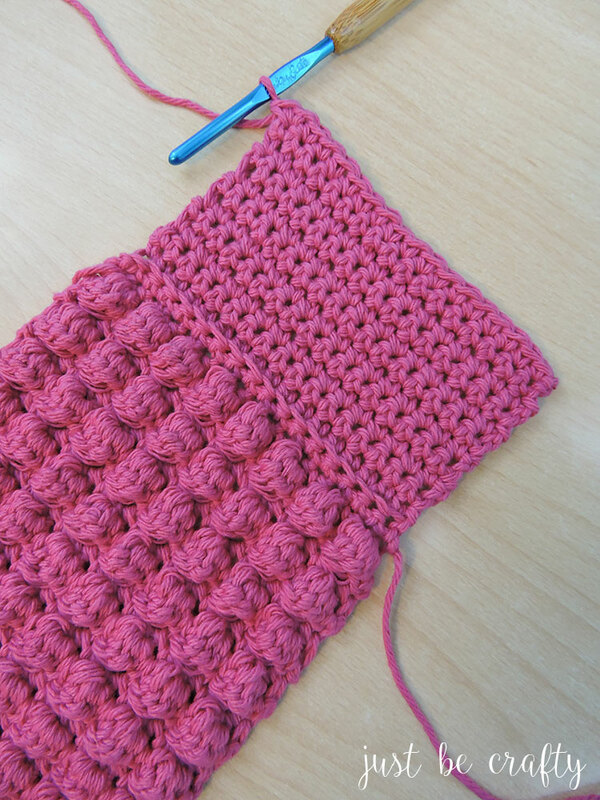 Round 1: ch1 and turn, sc in each stitch across row and make 2 dc in the 1st corner stitch. Sc along edge, making one sc per row, make 2sc in the 2nd corner stitch; sc along other side, making 2 sc in the 3rd corner stitch, sc along other edge making 1 sc per row, and sc in the same stitch as the first stitch in 4th corner. Join with the first stitch of the round with a sl st. Turn piece over so that the bobble side is face down. Fold both side edges inward. 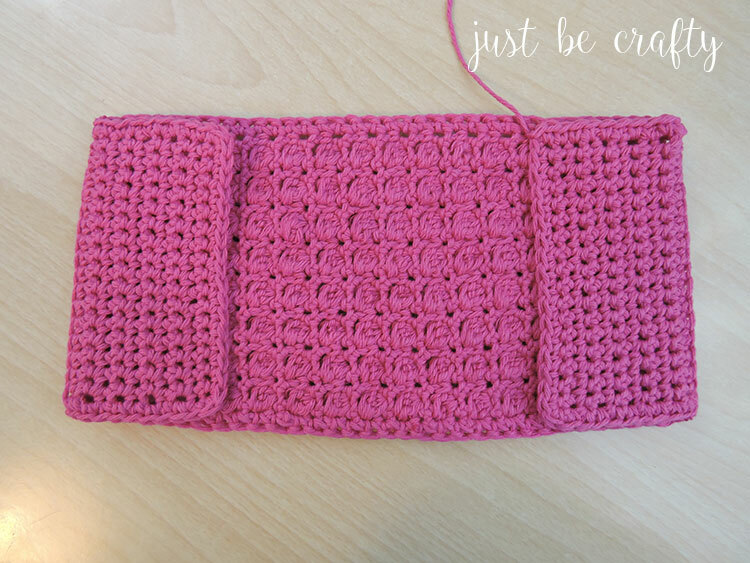 Remember when we single crocheted in the back loops only for one row on each of the side flaps? And did you see how we formed a little line on both sides of your flaps? 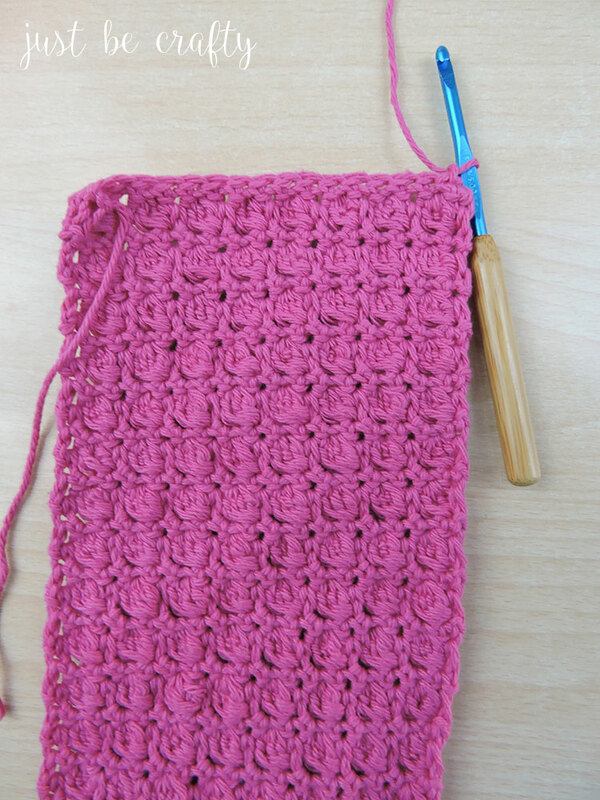 We are going to single crochet along that line. 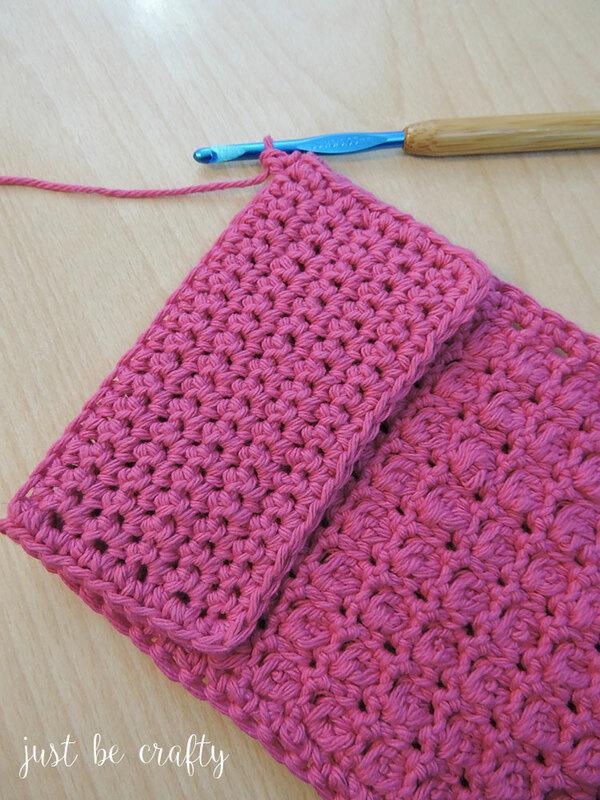 Starting at one of the corners insert your hook into the 1st stitch on one of the side flap lines (shown below). 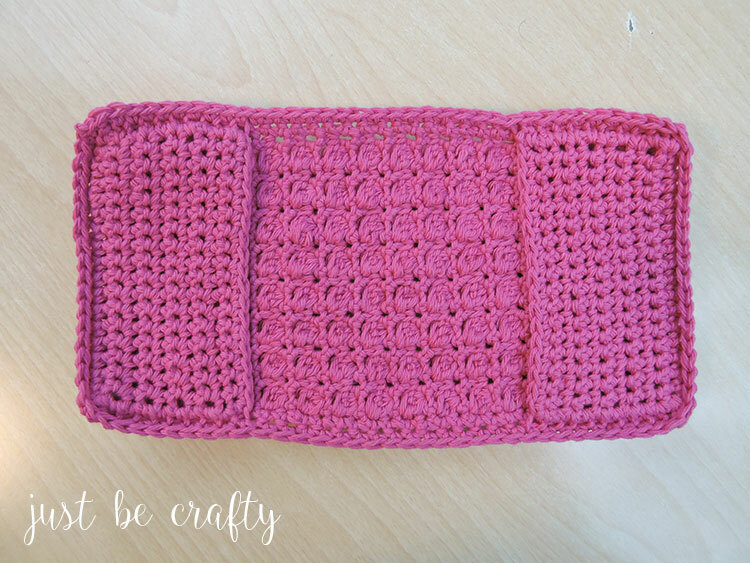 ch 1, and sc across the side, then line the stitches of side flap with the body of the pad, and sc the side flap to the body (crocheting in the outer loops only). Once you reach the end of the 1st folded over flap, sc along edge as usual until you reach where the folded side flap meets the body. Sc across second end of other side and repeat this process until you reach back around to where you started, join round with a sl st.
Cut yarn and secure. Weave in any ends. For more patterns to get ready for your own spring clean, check out the patterns below! Tommie, thank you for your comment! I hope you enjoy the pattern! I just made two! Thank you so much, my friends love them! These are great directions. Love this pattern!! Thank you so much!! in the pattern it calls for a size 5 hook but in the pictures it shows you using an H hook ?? Ok so I made one of these for my wetjet and it covers up where the solution sprays out. Did you have this problem? I made this without fully reading and found out my wet jet was the newer one so the sprayers were covered. So I took apart the ends and redid them to include windows for the sprayers. It works awesome! Hi Natalie! I do hope to get a new pattern up soon. 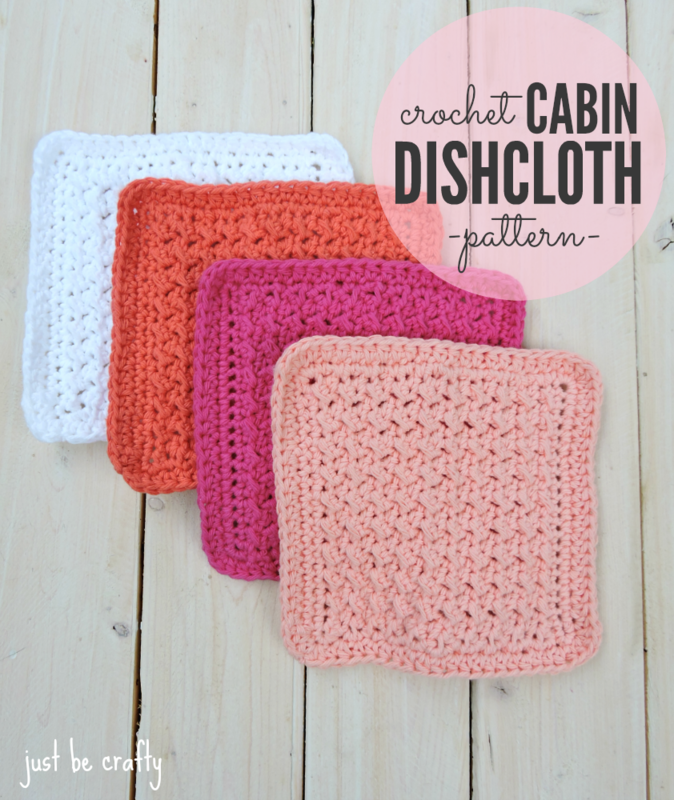 It will be coming this spring, along with some new dishcloths to prep for spring cleaning season. Love this! 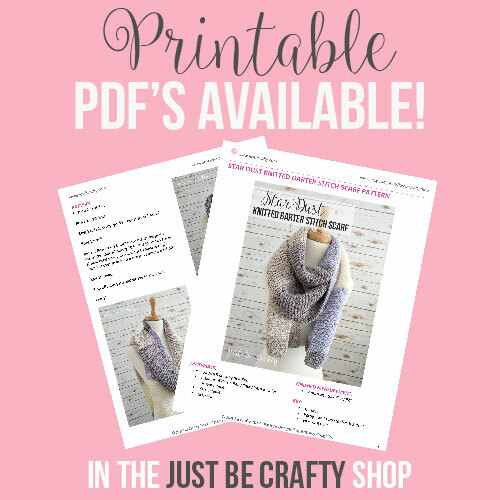 Do you have the updated pattern yet for the newer models? What am o doing wrong? My second row at the end looks like an extra stitch at the end, I have 8 bubbles I crochedt one at the end and seventeen stitches But it look a funky, what did I do, please help. Thank you. Hi Patty! 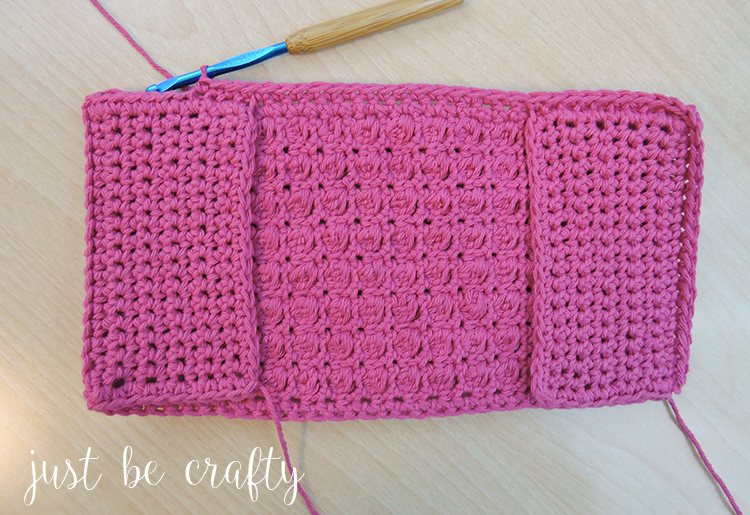 I have a video tutorial linked in the post where I show step by step how to complete a bobble stitch row. I think that should help. Thanks! I think I missed something??? I got to the end before you start rounds and realized I only have one “end piece” that goes over the end of the swiffer. Was that piece supposed to be done first or did I miss something in the pattern? Thanks this one was fun and pretty easy. I have made 2 since I looked it up and I am now working on one to fit my odd shaped wall mop. I like the bobbles. Since I saw you said you read all the posts I was wondering if you have a pattern you could share using cotton to make a stuffed animal hammock I was thinking something similar to the farmers market bag idea. i have also made those in the past but I’m a little unsure of how to work the pattern in the opposite direction (top to bottom instead of bottom to top). Any tips would be appreciated thatnks. Hi Alecia! That’s a great idea! I do not currently have a pattern, but I will keep that in mind for a future pattern. 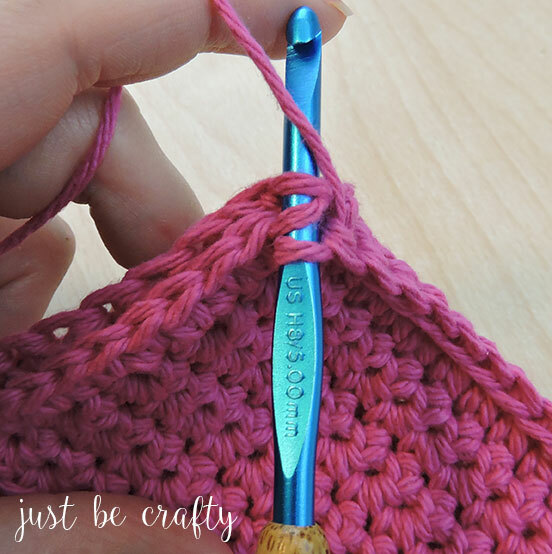 You could still work in the round as the for my round market tote pattern, but you just wouldn’t complete the ending when you reduce the chains and make the handles. Thank you flor sharing. It was simple to follow and mine came out great! I was wondering if you have the updated pattern for the Swiffer Wet Jet cover? I absolutely love this pattern but realized that I have the newer swiffer and the sprayers are covered 😭 do you happen to have a pattern for the newer models?